Austrian food and drink manufacturer FELIX Austria is replacing its forklift truck fleet with electrically powered trucks. Battery charging technology from Fronius ensures optimum performance with minimum power consumption for the new trucks. 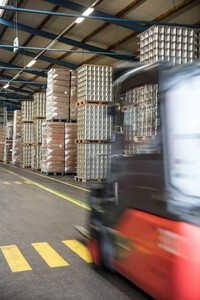 The majority of the almost 30,000 tonnes of products that the company distributes annually comes through the Mattersburg HQ. 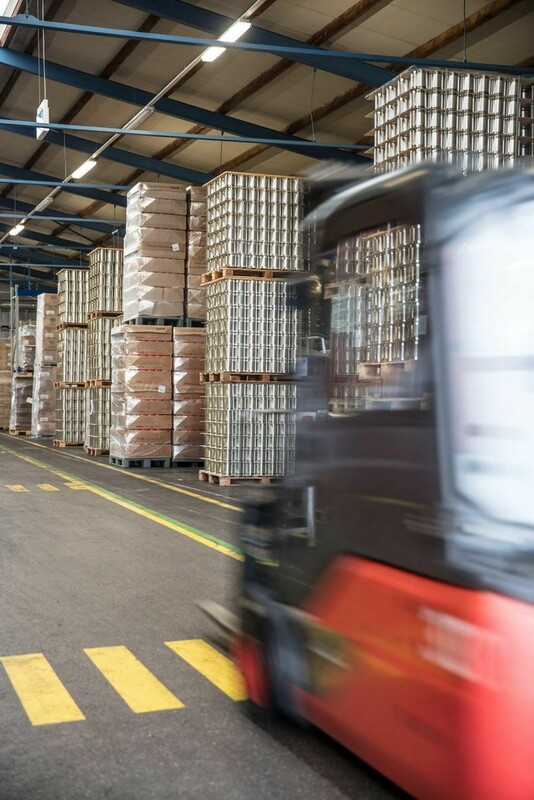 A fleet of 36 forklift trucks between goods in and goods out ensure that all raw materials, ingredients, packaging and end products are in the right place at the right time and in the right amounts. They work two shifts every day from Monday to Friday; demands on the availability of the forklift trucks are high. 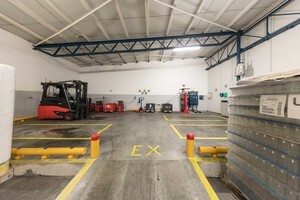 Nine battery-powered forklift trucks are already at work in the FELIX warehouses, with older models gradually being replaced. To cope with the long driving times, the stackers are partly fitted with back-up batteries. As the expensive batteries are often in use and therefore come under a lot of strain, a reliable, efficient and gentle charging process was especially important for this application. 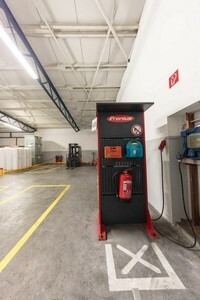 When searching for a suitable provider, FELIX was recommended Fronius by the forklift truck manufacturer Linde. 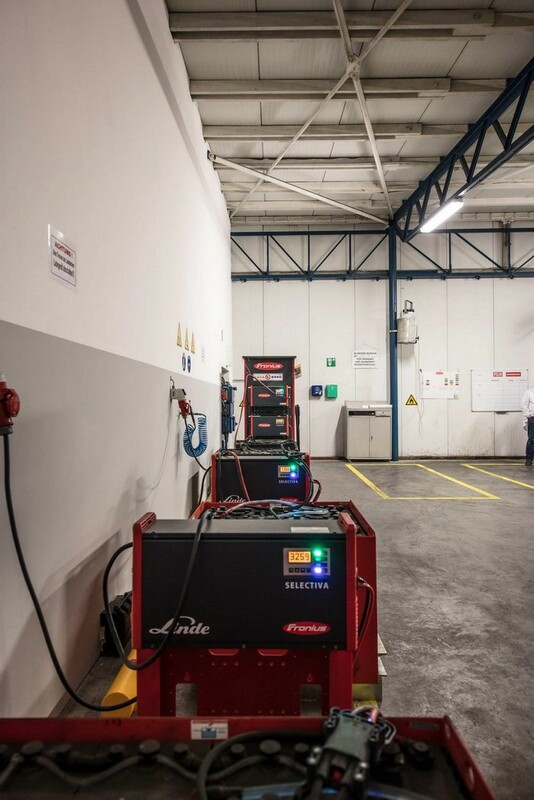 The Perfect Charging Division of the globally active company based in Pettenbach, Upper Austria, specialises in all matters relating to the charging of traction and starter batteries. However, initial contact was somewhat sobering. 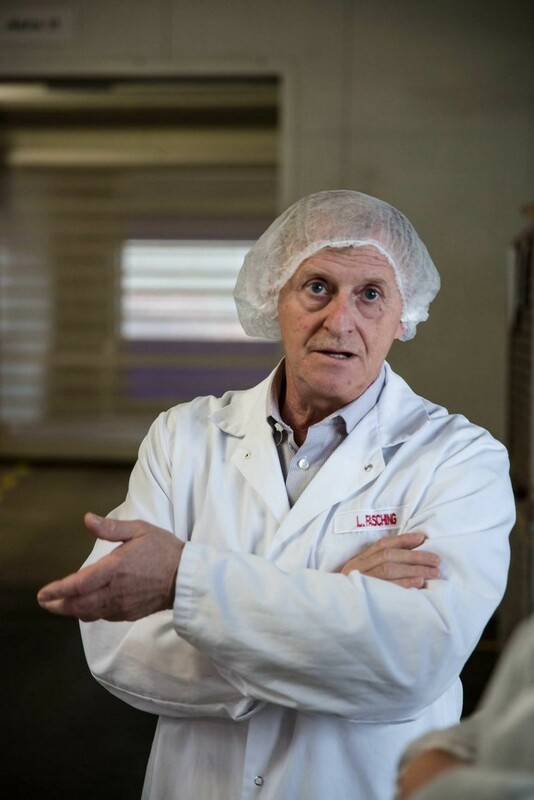 “When I first heard from Fronius what the prices of their battery charging systems are, I said ‘There’s no need to say more,’” remembers Lorenz Fasching. At first glance, the investment seemed simply too high in comparison with other suppliers. However, this initial impression was quick to change, after Alexander Thier, area sales manager for Fronius Perfect Charging, calculated the savings potential on ongoing operating costs for those in charge of FELIX. “We often encounter scepticism at first,” he recounts. “In quotes for electric forklift truck systems, the technology used is often not clear, so the differences in price between 50 Hz transformer technology, simple HF chargers and our technology can be daunting.” It is often sensible for the user to also get to grips with the charging technology, as well as the forklift truck and the battery, as this has a considerable effect on the cost effectiveness and performance of the whole system. “The charging technology influences the service life of the traction battery, the cost of maintenance work, energy consumption and also how effective the user can be with their fleet,” explains Thier. With its Selectiva battery charging systems, Fronius has in its portfolio the most advanced technology for charging traction batteries in the world. Their innovative Ri charging process, which adapts to the effective inner resistance of the connected battery, allows for especially gentle and efficient charging depending on the age, temperature and state of charge. “Every charging process takes place according to an individual characteristic, which drastically lowers energy consumption and CO2 emissions while simultaneously extending the service life of the battery,” says Alexander Thier, summarising the benefits. This is especially noticeable in the operating costs: energy bills fall and the expensive lead batteries need to be replaced less often. The purchase costs are thus paid off after only a short while. These arguments also convinced Lorenz Fasching. 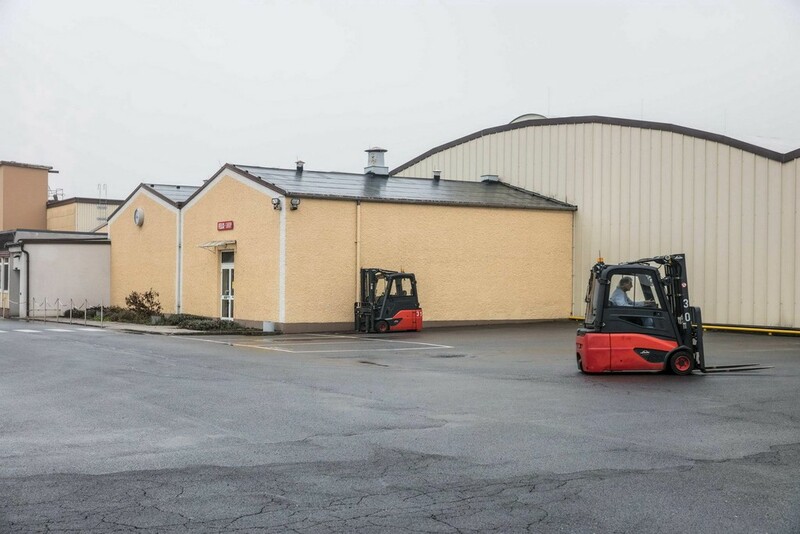 “For the gas-powered forklift trucks, monthly operating costs were over €200 per vehicle,” he says. 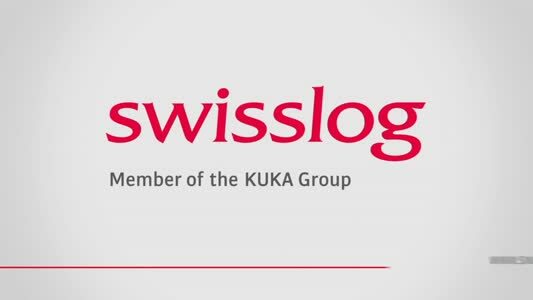 “For electric stackers they are more than 75 percent lower at €48 per month and the Fronius battery charging technology is a major factor in that.” Maintenance is also an influential factor which has been dramatically reduced by the switch. Firstly, because the electric stackers generally require less maintenance and are therefore cheaper than those powered by gas, and secondly because the gentle charging process of the Fronius devices also reduces maintenance work on the batteries, such as filling up with water. “Not only does this save money, but we also have more time for our actual work,” remarks Fasching. Talking of time: a couple of FELIX’s electric forklift trucks, that together with their batteries have already been in use for several years, were more and more often in the recent past unable to complete a whole shift. The batteries had little by little lost capacity and had to undergo opportunity charging – “a process that not only costs time, but also nerves,” recalls Fasching. 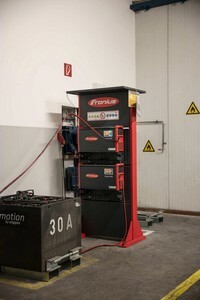 The Selectiva battery charging systems from Fronius have a special refresh characteristic for cases like this. It helps to improve the performance of deeply discharged and sulphated batteries. 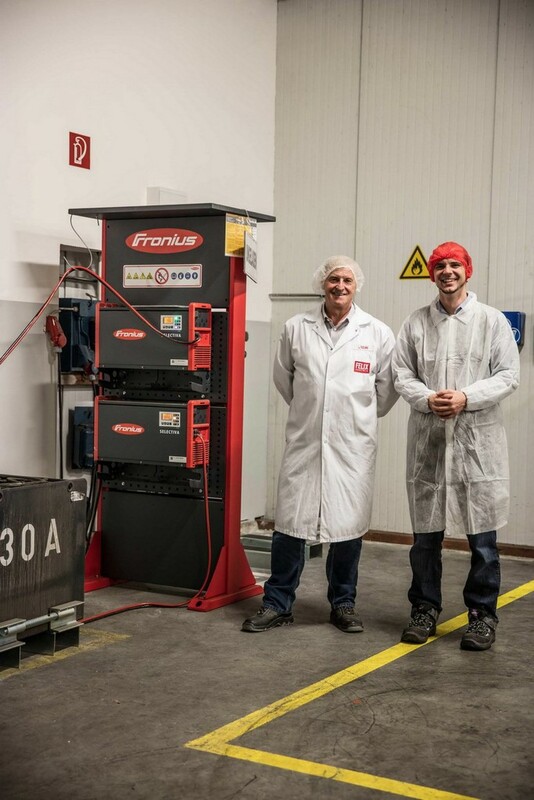 “Since we have been charging with Fronius technology, our employees can once again drive throughout their shifts without opportunity charging, even with older vehicles,” enthuses the technical manager.